Today is my birthday. I cannot believe how old I am; it truly blows my mind to think where all the years went. It makes me sad if I think about it too much so I will try not to. Since I am 10 weeks older than my husband, I refuse to believe that I’ve turned the next age until he has in May. Unfortunately today hasn’t been too exciting yet; all I’ve done so far is wake up at an incredibly early time and deal with Sydney’s crazy peak hour transport. I’ve actually never been to work on my birthday before since last year my birthday was on a Sunday and prior to that I was a student…so this will be interesting. It’s also nice to wake up to birthday messages on social media. I always like to wear a new dress for my birthday. This is one of my birthday presents. It’s technically from my husband although I did buy it myself; we usually choose our own gifts to make it easier but the thought is still there. Since I buy so many clothes I like to ensure that any clothes I purchase for my birthday are special or different so they don’t just become one of many in my wardrobe. This is a piece which is much more of a formal/dressy/occasion dress and I wear it to all of my of my birthday celebrations. 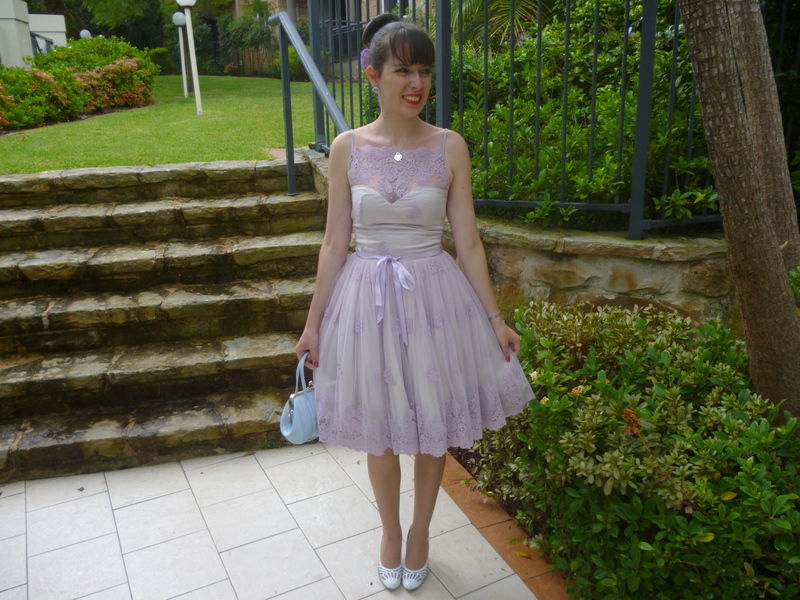 It is of course another dress from Kitten D’Amour. I’ve had my eye on it for so many months, even when it was a preview prior to it being released. 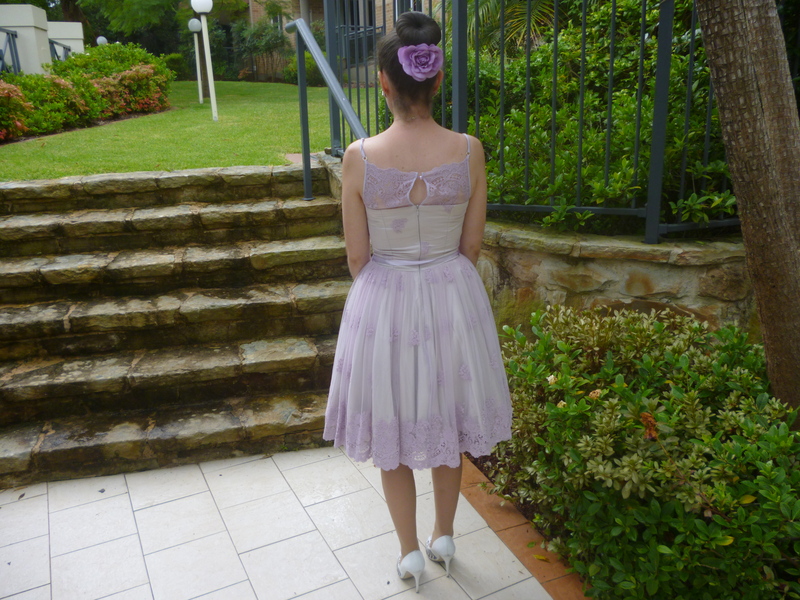 The colour, lace, silhouette and detailing is so pretty. I love the delicate and beautiful nature. To me, it’s a princess dress. I resisted buying this for months because it was so expensive, almost $300. But when it came on sale for almost 50% I thought it would be perfect for my birthday. 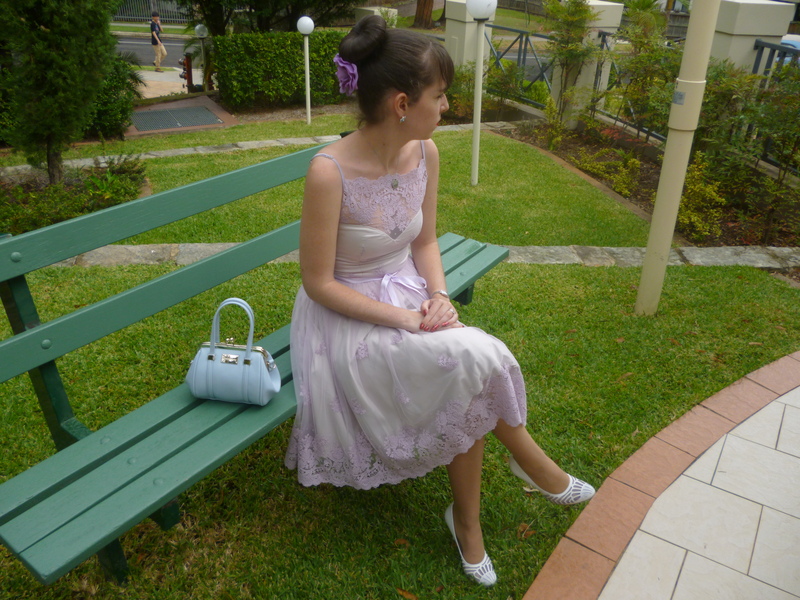 The bag is also a birthday present, I adore these pastel shades together, but more on that later. I hope to film a what I got for my birthday video eventually too. 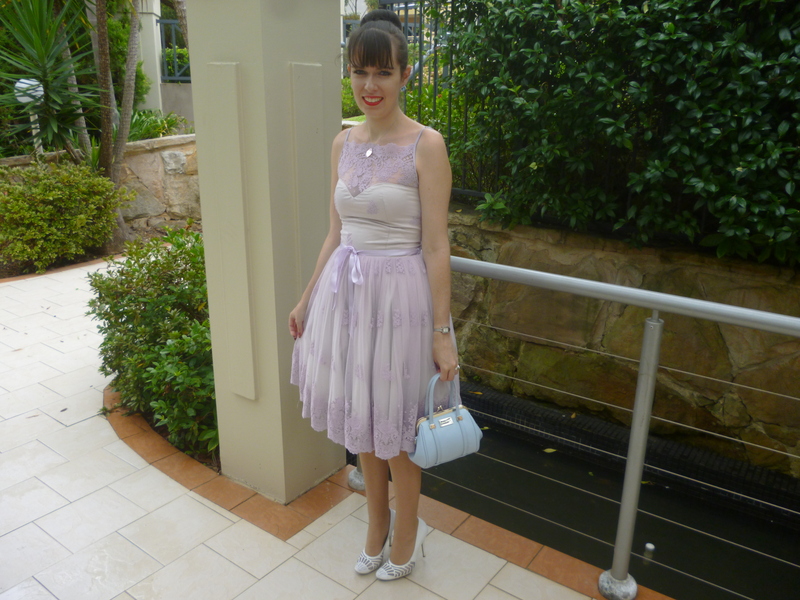 This entry was posted in Forever New, Kitten D'Amour, Outfits, Wittner. Bookmark the permalink. Belated happy bday Imogen! That is one gorgeous dress and you definitely look like a princess! Hope you had a wonderful bday!! Firstly Happy birthday queen of chic and secondly what a gorgeous dress. Happy belated birthday, darling! I love your dress, it is so feminine and pretty, and you look just stunning 🙂 I hope that you had an absolutely phenomenal day! Hello,Ciao Imogen…Auguri,Happy Birthday to You! Your look is stunning…always so pretty,elegant,chic and fabolous…cheers! That is such a fun birthday outfit! Happy Belated Birthday! And I hope that you get to wear this very pretty dress to a lot of special birthday celebrations! 😀 It is lovely on you. That dress is beautiful. Love the lace. You truly look like a princess in this dress…so beautiful. Love the color of that dress and the lace detail. Happy Birthday doll. I love this dress and it suits you so well. Keep smiling! Happy Birthday Imogen, you look beautiful, absolutely love the dress & the hair & the shoes! Everything! you look so beautiful in that dress. Beautiful, great post 🙂 I always like what you teach us. Happy Saturday. Kiss kiss ♥ happy weekend! Happy belated birthday! You're still a lot younger than me. 😉 This frock is just beautiful, it was definitely worth the sale price! 6 days belatedly, Happy Birthday! 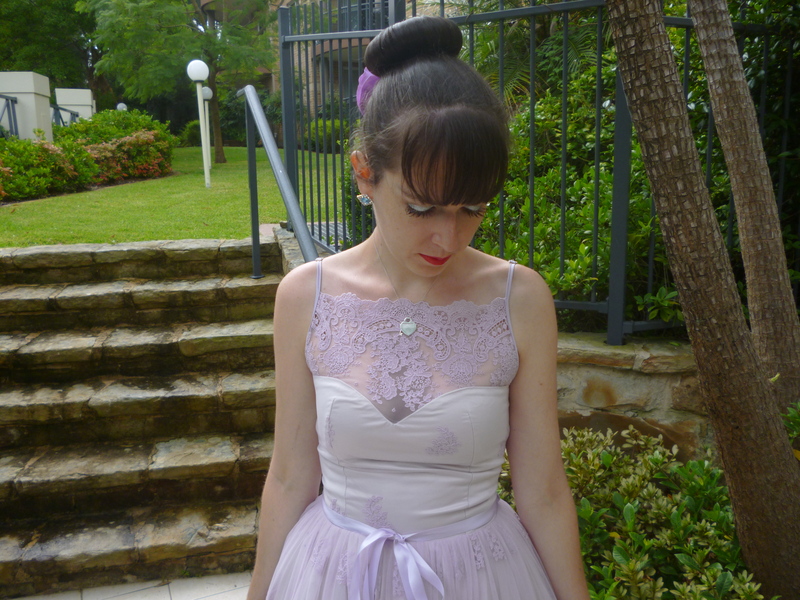 Your Kitten D'Amour Minuet “Princess Dress” is gorgeous. It feels weird reading that a person as young is amazed at how old you are? I'm old enough to be your grandfather. If you're old then I'm a fossil and should be seeing a paleontologist instead of a doctor. As for the working on a birthday, I've done it but I also knew someone who quit her job when they wouldn't let her take off from work on her birthday. I hope your birthday wishes come true. I wish I were as young as you again. You look fabulous. Happy belated birthday!! I like to wear a new dress on my birthday too and I think the one you wore is gorgeous. Such a great choice for a birthday celebration! I hope you have a wonderful year ahead! Happy b-day doll!!! You are so pretty, I love your dress!!! Oh, happy birthday beauty ! OMG that dress is so you! I love it ❤ So pretty!